Keep your customers excited. Make your mashed potato new again by adding a spoon of Aioli. Perfect to accompany perfectly cooked steak. Bring the milk to the boil, remove from the heat and whisk in the KNORR Instant Mashed Potato Mix until mixed well, stir in HELLMANN'S Real Aioli. Bring water to the boil, stirring continuously until it becomes thick, add the chopped rosemary to infuse. Crumb the mushrooms first dipping in flour, then egg and lastly crumbs. Oil the steaks and season. Cook the steaks on a hot char-grill. 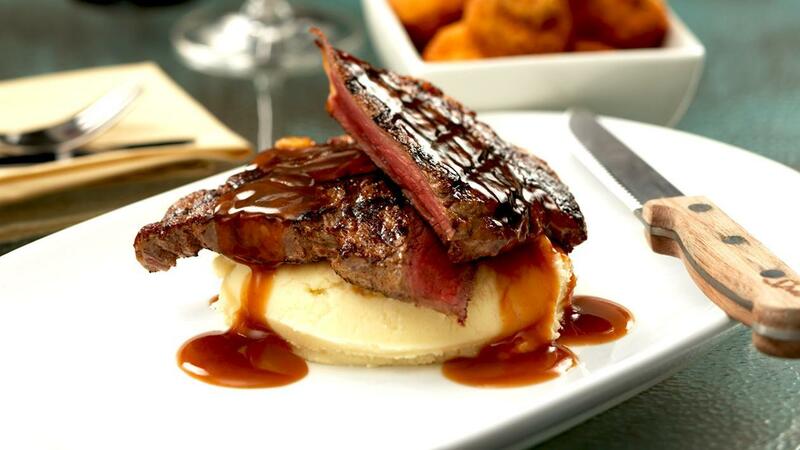 Serve steaks with mash and golden fried mushrooms.